37 photos of this Cornish line. Welcome to the Bodmin & Wenford Railway! Bodmin General station, Thurs 7 September 2017. The BWR operates two very steeply-graded (1 in 40) branches from this station. One descends east to Bodmin Parkway on the Plymouth - Penzance main line. The other descends west to the site of Boscarne Junction, where it used to meet the Southern's 'withered arm' from Exeter. 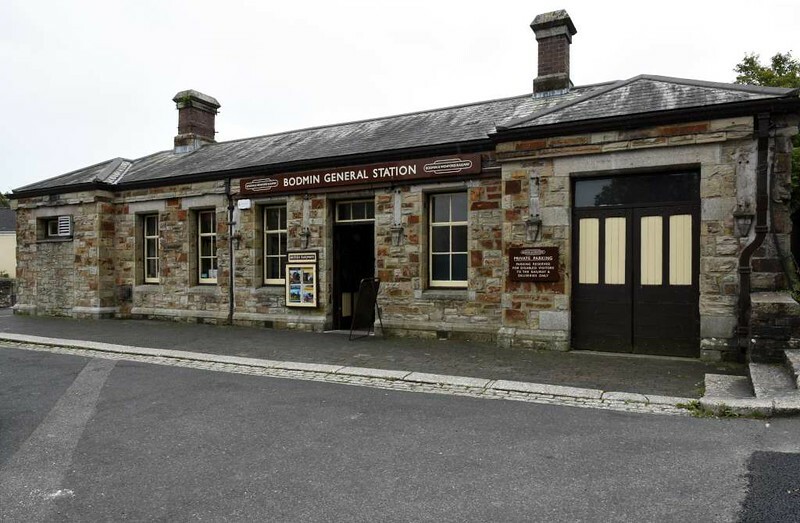 Both branches and Bodmin General station were built by the GWR in the 1880s.